Though he may be little, he is loud! Have fun tracking your son’s height with Pearhead’s My Growth Chart. 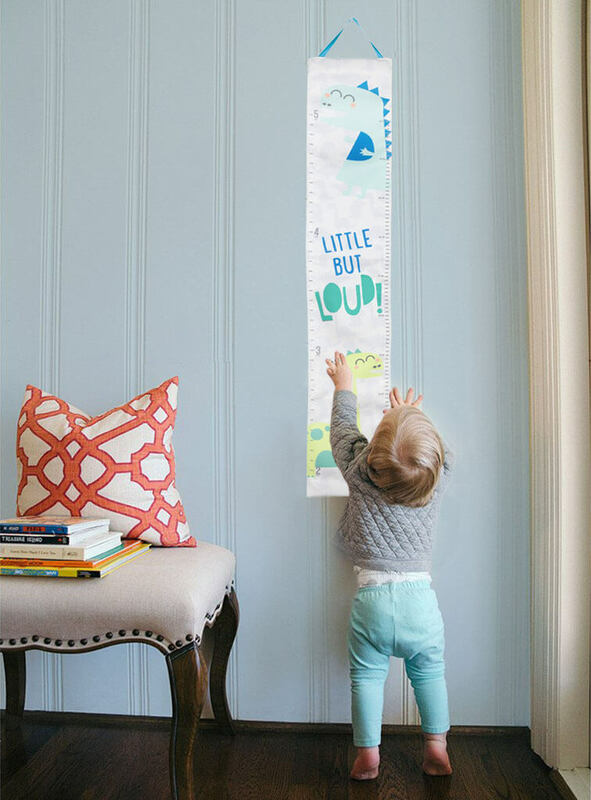 This too-cool canvas growth chart is the perfect way to track your growing baby’s height! 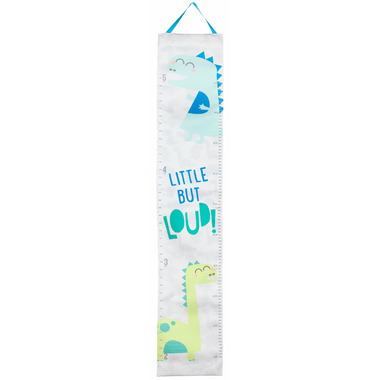 The chart starts measuring your little one at 2 feet and goes all the way up to 5 feet. Hang this canvas on any wall with the included blue ribbon and start measuring your little boy! The chart includes measurements in inches and centimeters and is decorated in a cool gray great for decorating your little one’s nursery or bedroom. 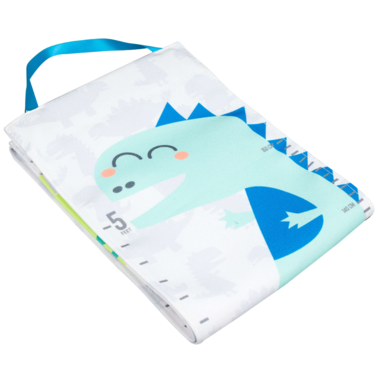 The canvas also includes “little but loud” stamped in a matte gold foil on the front with adorable dinosaur characters! Have fun tracking your little one’s height and snapping a picture. It’s the perfect way to show your growing boy’s height with everyone you love. While your little one may outgrow this keepsake, you will never outgrow the memories of watching him grow! And don’t forget to add this to your baby registry! Celebrate and cherish baby boy’s growing moments with Pearhead’s My Growth Chart.. Use the hashtag #mylittlepearhead for a chance to be featured on Pearhead’s social media pages. Product dimensions: 13.58 x 10.50 x 1.26"